The first time Esther Anderson volunteered with her Kiwanis club’s Shoes and Socks project, she cried. It was an unexpected reaction, she recalls. When she joined the Rockledge Kiwanis Club, she wasn’t immediately impressed with the long-running effort, which brings new athletic footwear to children. Surely, she thought, the students had more pressing needs. Fairglen Elementary School student Johnny Gurich, right, tries on shoes with the help of Wanda Mucahy of the Brevard County Sheriff’s Office during the Kiwanis Club of Rockledge shoe distribution. That initial experience changed her mind quickly. Some children were clad in kicks that were falling apart; many had never worn a new pair. Kiwanis Club of Rockledge member Ted Hartselle unties the new shoes for Fairglen Elementary students. Since 1978, Rockledge Kiwanis club members have distributed more than 96,000 pairs of shoes and socks through the Nestor Hebert Shoe Fund, named after the businessman who started the project decades earlier. This year, 13 schools will benefit from their efforts. It’s no small feat, Anderson says. The club maintains a nonprofit fund devoted strictly to buying new shoes and socks; a separate nonprofit account holds monies used to rent, air-condition and maintain a storage warehouse for the purchases. Parents sign permission slips to allow their children’s participation and indicate the necessary sizes. On distribution day, it’s not just grab-and-go. Assisted by members of the Rockledge High School Key Club, Kiwanians provide a custom shoe fit for each child—as many as 190 per school—to ensure comfort and durability. Kiwanis Club of Rockledge member Frederick Gerry Reitz, right, speaks to Rockledge High School Key Club members who helped Fairglen Elementary School students try on new shoes. To keep the shoe flow constant, the club hosts its Children’s Charities Golf Tournament each spring, an event that brings up to US$15,000 annually. The club also mails 4,000 pledge requests per year, and some businesses display shoe-fund cans for additional collection opportunities. Donations, Anderson says, come about in unexpected ways. A visitor to a hair salon, for example, saw a collection can and stopped in surprise. As a child, she told staff, she had received free shoes from the program; it was a fond memory. Dropping money into the can, she added that it felt good to give back. Shoes are organized by size for the arrival of Fairglen Elementary students on in Cocoa, Florida on Thursday, November 10, 2016. Rockledge High School Key Club member Bailey Campbell, left, receives shoes to try on a Fairglen Elementary School student during the Kiwanis of Rockledge shoe distribution in Cocoa, Florida on Thursday, November 10, 2016. Fairglen Elementary School student Johnny Gurich tries on shoes during the Kiwanis of Rockledge shoe distribution in Cocoa, Florida on Thursday, November 10, 2016. Kiwanis of Rockledge members Jonny Basher holds a pair of brand new shoes to be given to a needy student at Fairglen Elementary School in Cocoa, Florida on Thursday, November 10, 2016. Fairglen Elementary School student Neamyiah Davis Jones tries on shoes with the help of a Rockledge High School Key Club student during the Kiwanis of Rockledge shoe distribution in Cocoa, Florida on Thursday, November 10, 2016. Shoes are organized by size for the arrival of Fairglen Elementary students on Thursday, November 10, 2016. Fairglen Elementary School student Reilly Whidden tries on shoes with the help of Brevard County Sheriff’s Office Kurt Benfont during the Kiwanis of Rockledge shoe distribution in Cocoa, Florida on Thursday, November 10, 2016. This story originally appeared in the April 2017 issue of Kiwanis magazine. The Rockledge Fl. Kiwanis Club delivered needed shoe’s as requested by Croton Elementary School , Melbourne Fl. last year. The Eau Gallie Kiwanis Club stocks ” Kid’s Closets” at many Brevard County,Fl. Elementary Schools and Rockledge contributes to the closet’s on an as needed basis. Thank you Lester and your Rockledge Foundation for this support. This is why we are in Kiwanis. Great article but the picture with the Key Club is disappointing in the fact that their Key Club, just like our sponsored club locally, is mostly female. Where are the young men who should be volunteering?? 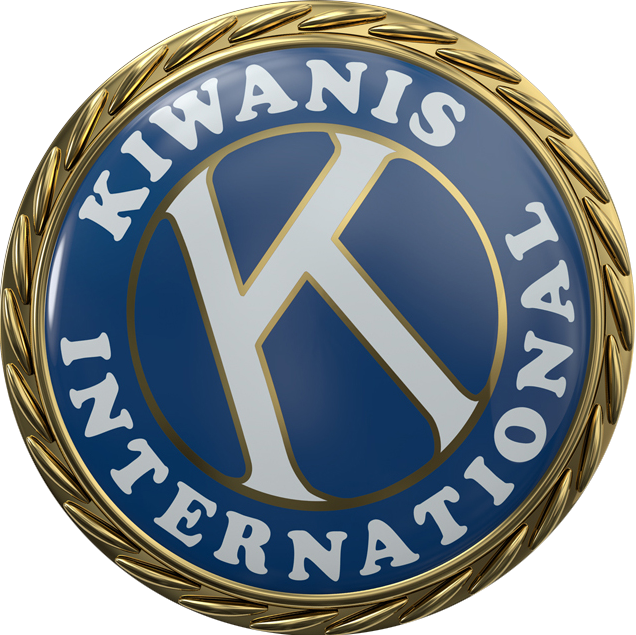 I am a Past President of our Kiwanis Club of Cape Coral, FL. I have been a member since l978. We sponsor 3 Key Clubs in 3 of the High Schools in Cape Coral. I think the shoe & socks program is a plus for Key Clubs and our Club should agree to help them with finances and personnel. Bob Day. I don’t know Bob Day, but I know the Cape Coral club’s initiative is a good one that needs to be supported. Bob Hastings, Saginaw, Michigan Kiwanis, celebrating our 100th anniversary this year.